Travel theme: Up | Where's my backpack? It’s mid-January and overcast here in the Pacific Northwest. Yesterday a friend told me she was suffering from the January doldrums; that blue feeling when the holidays are over, New Year’s resolutions are broken and you’re faced with the long haul until summer. 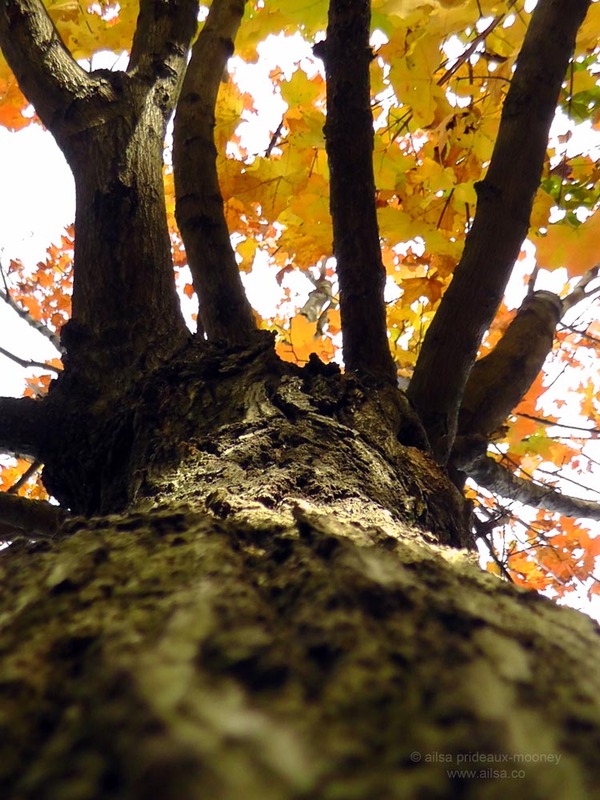 I’ve always enjoyed January; especially with later winters giving rise to surprise snowfalls, but in order to lift our spirits a little, I’m looking up, literally, this week. 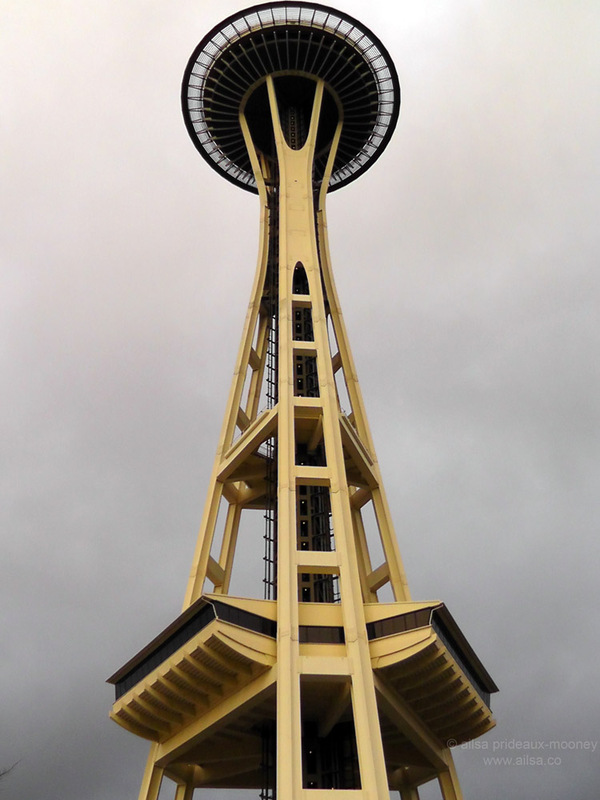 Looking up at Seattle’s Space Needle – even on an overcast day it’s pretty spectacular. One of my favourite things to look up at – a beautiful moonlit night along the Oregon coast. 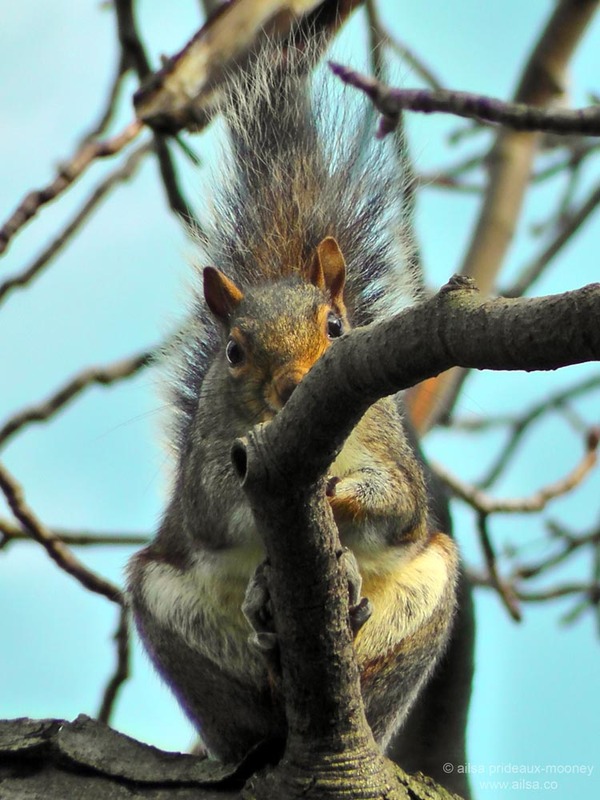 I’m not sure who was more startled; me or this little squirrel at Snug Harbor Botanical Garden on Staten Island. On the subject of squirrels, how about taking a photo from a squirrel’s point of view? Autumn leaves at High Rock Park in New York. 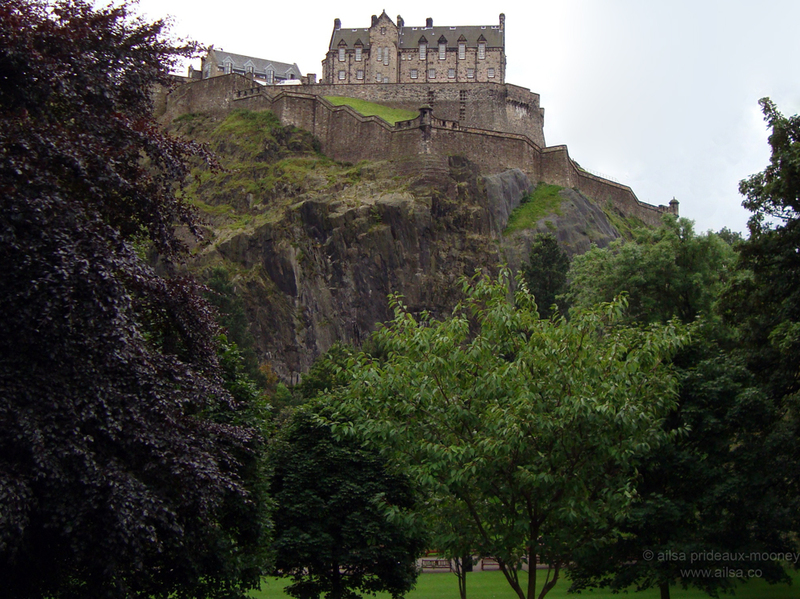 The Scots found an almost perfect spot to build Edinburgh Castle. When you see it towering impossibly far up on Castle Rock, its defensive advantage becomes all too apparent. 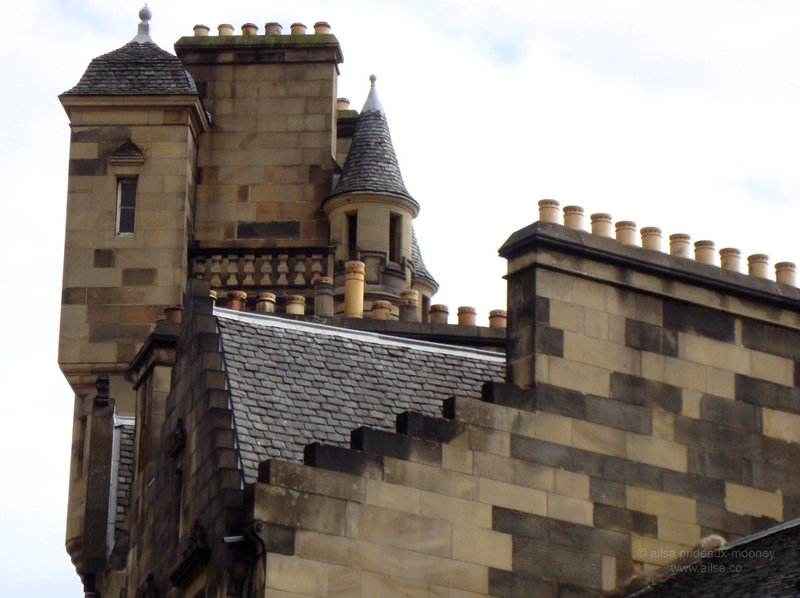 When I was in Edinburgh I spent an awful lot of time looking up, because the Old Town streets are crammed with the most delightful rooftops I have ever seen, with turrets, chimneys and spires all jostling for attention. This entry was posted in Photography, Travel, Weekly Travel Themes and tagged architecture, nature, photography, photos, pictures, travel, writing. Bookmark the permalink. Yup, I know that feeling well. Here’s one looking out from a boat with crazy stormy clouds up above. That’s one stormy-looking sky, Broken Light! Being from Seattle, my daddy, who has passed helped build the Space Needle… thanks for the memories! What an amazing legacy your dad left behind, Patricia. ♥ I love the Space Needle. 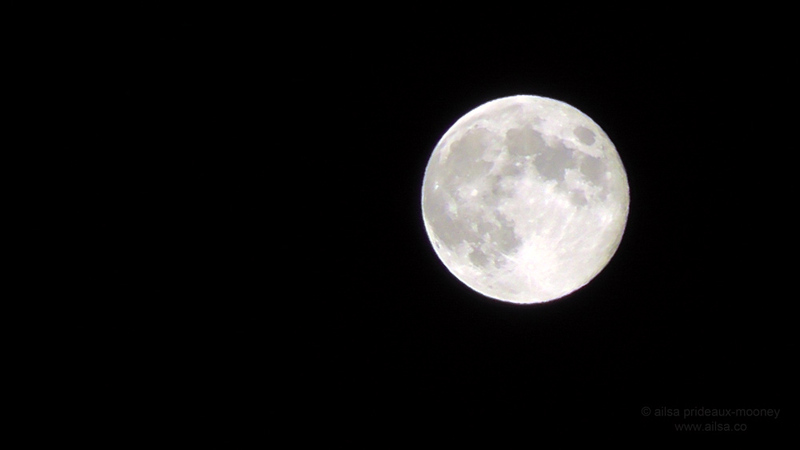 That photo of the moon is so amazingly clear … I have a very week spot for moon picture. The squirrel photo is brilliant too. You and your camera is a fantastic team .. maybe said that before to you. Beautiful, Patricia, what a lovely burst of colour! I fell in love with Edinburgh, nuvofelt, didn’t spend half enough time there and must go back someday. The surrounding countryside is utterly breathtaking too! Still….Too early to throw in the towel…. You miss so much if you don’t look up! I had a little fun with this one… 🙂 It has been awhile since we have participated, this is a fun one to start up with again. Yaay, welcome back, and what an amazing array of shots from all over the globe. The hike up Meudungsun Mountain sounds like an insane amount of fun! Wow, this is sooo cool, ideflex. Where was it taken? Thanks Drake, I love your Danish Statue of Liberty, and what a wonderful name, Himmelbjerget. A great post, and some beautiful photos! Great photos, Ailsa! I love the tower – and the squirrel of course! Here’s my entry! That squirrel is amazing !!!!!! I love that all his hair is sticking up ! He is certainly looking straight into the camera. Love it ! Btw did my entry link get posted Ailsa ? I can’t see it anywhere ??!! it should show up in the comment stream here 🙂 Your Central American Dryer made me laugh out loud! Hahahaha I am glad you got a giggle ! Hi kids!!! Here’s my take on this week’s Up Challenge, and thanks Ailsa for another good one! hehe … glad you like it, Ailsa (and again, thanks for the opportunity to post this one … its one of my faves. Your photo challenge ROCKS!!! Took this one in Tokyo a year or so again. Dunno know why, but the guy in the grey suit coat cracks me up! Hi Anne, I love that first shot, you’re absolutely right, the angle makes for a much more interesting shot than the traditional one. What a pity the wildlife refuge was closed, I was getting ready to ask you about your visit. $6 is a bit cheeky for one bridge! The squirrel! What a trip! Great shots, Ailsa. Here’s my “Up” photo challenge. Thanks for the inspiration Ailsa. Lovely shots, Peet, glad you enjoyed this week’s theme. Where was the waterfall photo taken? It’s beautiful! Pingback: Ailsa’s Weekly Travel Theme: Up | Travel. Garden. Eat.